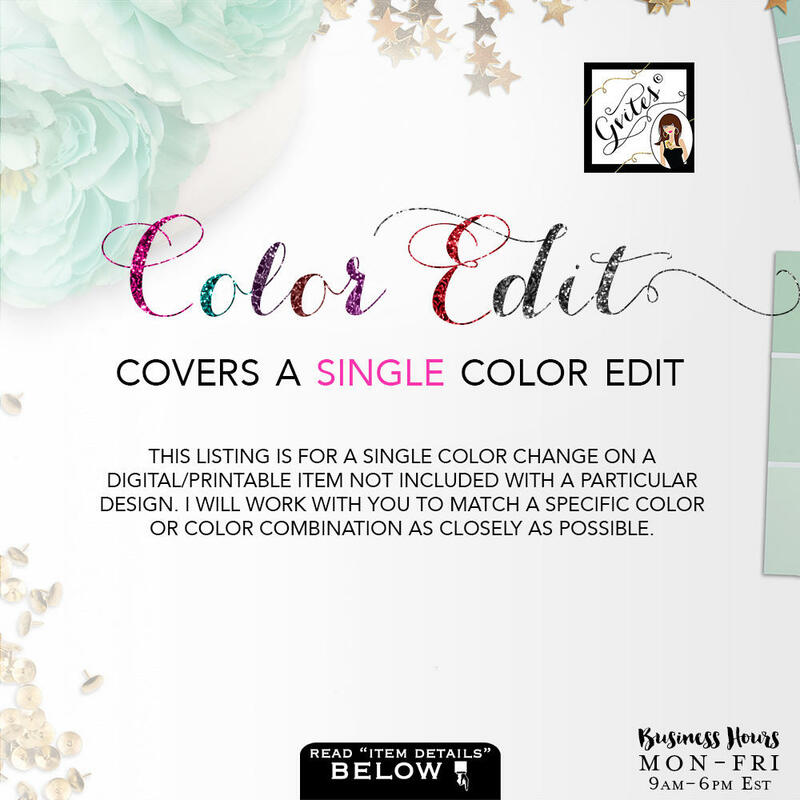 I will work with you to match a specific color or color combination as closely as possible. Please by kindly advised computer monitors and/or mobile devices differ slightly, as do people, in their perception of color. While it is impossible to guarantee an exact color match, information such as pictures and/or Pantone or Hex numbers helps greatly. Please email a picture of the color image you are requesting or the CMYK codes. ▻ 3 rounds of color-revisions is included with purchase.